surgery, foot- and ankle surgery and sports medicine are performed. SEK 655 M (EUR 73 M). of the prestigious International Society of Orthopaedic Centres (ISOC). has been involved in advances to alleviate suffering from musculoskeletal disorders. results are then translated back into clinical practice. as outstanding, and in Malmö as excellent. defended and over 150 peer-reviewed scientific papers are published. aims to disseminate information to decision-makers regarding well-executed studies. The Department of Orthopedics is an active partner. still responsible for five national orthopedic quality registers. activities. The aim is to collaborate across borders within Research & Education. The group is led by the the Department of Orthopedics. several steps of medical and statistical expertise. persons who may benefit from prosthetic, orthotic, mobility and assistive devices. Clinical Skills Centre at the hospital, can provide practical treatment. Department in Lund and Malmö. and knee and investigate patterns of knee joint implant failure. surgical methods, postoperative treatment and utilization of hospital resources. caused by diabetes is evaluated with regard to quality of life, cost, etc. skeletal metastases is studied concerning technique and outcome. distal radius fractures in young patients. with cerebral palsy and pathophysiology in Perthes’ disease. project, please contact the primary investigator. Josef Carlsson Foundation, Lund University, Maggie Stephens Stiftelse, Magn. and Mineral Research (ASBMR) 2013.
quality registers for children with cerebral palsy. Measured by DASH Over a Ten-Year Period 2002-2011.
of the Hungarian Orthopedic Association in June 2013. Ola Svejme: Risk factors for bone fragility and fracture in post-menopausal women. Magnus Tveit: Exercise in Youth and Long-Term Effects on Bone and Joints. study is the role for bisphosphonates in joint arthroplasty. package of questionnaires, covering both general health and disease specific questions. primary as well as revision hip and knee prostheses. function and survival, and not least patient satisfaction and pain relief. with unsatisfactory patient reported outcome regarding pain, function and quality of life. Which is the true incidence of complications after hip fracture related arthroplasty? Are register data reliable regarding surgical outcome? Which are the risk factors for complication after arthroplasty? Which type of hip arthroplasty leads to best results? rehabilitation issues – and defeatism amongst care givers and patients. 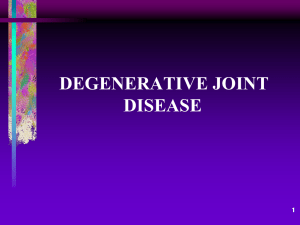 diagnose and follow synovitis in various hip disorders and following surgery. loosening in hip joint arthroplasties are studied. repair, component wear in relation to aseptic loosening of the prosthetic components. head. In cases of incongruency a proximal femoral varus, derotation and extension osteotomy reduced cartilage incongruency and an improved sphericity of the femoral head. in varoius hip disorders and following hip surgery. long-term follow-up using multiple result parameters is required. with fusion have been studied in prospective randomized studies. spinal stenosis surgery has been described based on register data. non-efficient treatment modalities. A treatment algorithm is gradually being developed. individual and on an economical basis for the society. biomaterial research with more biologically oriented animal models and clinical research. clinical use and clinical trials is prioritiesed. Our mechanical machine is used for mechanical testing of new materials or bone tissue. preparation, prosthesis design and fixation methods, both cemented and uncemented. in the material on its biomechanical and biological properties. fracture models. We evaluate the bone strength in standardized mechanical tests. Masquelet technique to recreate large volumes of bone. serves as a basis for clinical development and research. and 2013. Further analyses of this questionnaire are now being undertaken. ankle osteoarthritis by different projections. primary ankle replacement and fusion. after ankle replacement and comparisons with results after ankle fusion are non-existing. the most severe being ulceration, infection and gangrene. incidence is unknown and little is known about the outcome. questions will hopefully lead to better treatment options for these patients. patients are elderly and have to rely on family or social services in their everyday living. How amputation affects their quality of life is also subject to our studies. possibilities to study a low-frequent complication like deep infection. insert has been collected and is now being analyzed. effective treatment for every patient. Further, health economic analysis is needed. state-of-the-art repeat knee MRIs and radiographs. surgical procedures, prescribed drugs and socio-economic variables. who will benefit from the information the team will provide. international research fellow10 as well as serve as co-mentor an additional PhD student. environment for young investigators in osteoarthritis, ReLOAD. ALF, Crafoord Foundation and Kock Foundations. Fig. 1: Hypothetical “meniscal pathway” to the pathogenesis of knee OA. other parts of the world including European programs such as the EUMUSC.NETproject and other national and international collaborations. kvalitetsregister) and plan to include data from the municipality level. society in patients with inflammatory MSKD. experience, thus a national registration was started. thrombosis) as well as timing and in 2013 registration of tibia osteotomies was started. and implants as well as stimulating hospitals and surgeons to improve their routines. order to better understand the results of knee arthroplasty from the patient perspective. hope to be able improve knowledge on the efficacy of the treatment. years, demand is still expected to increase. and techniques can be limited to reduce the extra cost and suffering. result of osteoporosis related diseases. makes predictions on the future number of fractures uncertain. incidence in those born recently than those born earlier. changes in society during the lifespan (from 1885 to 2011) of the examined individuals. age+cohort+period and medication, migration, and urbanization. pharmacological regimes and other interventions for different fracture types. injuries and, in the hips, developmental joint anomalies. 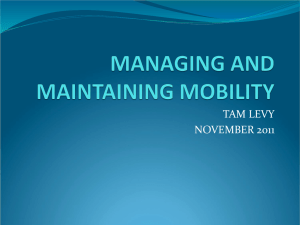 mobility and reduced quality of life. structural changes as well as relate the MRI signal to molecular content. OA longitudinally, from emergence of risk factors to radiographically diagnosed OA. intervention i.e. physiotherapy to improve treatment of OA patients. of aggrecanase and MMP generated ARGS- and FFGV-aggrecan fragments. differences in the process of activating aggrecanases and MMPs. the primary knee reconstruction surgery in Sweden in 2012.
knee arthroplasty surgery for which there is a national registration. significant higher in women than men. that already are used for knee arthroplasty surgery in Sweden. and techniques used, complications and the patient perspective on outcome. enhances bone mass, bone size, reduces overweight and improves school performance. therefore be used in the health care. bone and body composition parameters. also introduces the possibility of identifying novel targets for pharmacological treatment. in the patient´s own home. the hip fracture patients, as well as in the prevention. 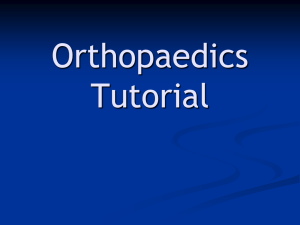 technical as well as rehabilitation and economical aspects of the hip fracture treatment. prevention of infection and pressure ulcers, pain management and improved nutrition. the Swedish national registration has spread internationally widely also outside Europe. Techniques used are : epidemiology, balance testing, patient inquires, skeletal scintimetry, bone densitometry, histology, MRI, CT, x-ray, ultrasound, pressure measurement. dot is a Swedish hospital. from the end of the 1980ies. same functional level as before the fracture, if possible improve further. calls for further research on underlying mechanisms to find better intervention options. evaluate in parallel the different aspects of this multifaceted interaction. ultimately contribute to better bone health and reduced risk of fragility fractures. to improved prediction and monitoring of fragility fracture risk. focus our research on these patients. presented by PhD student Marcus Landgren at the EFORT meeting in 2013.
substitutes have been tested in distal radial fractures. ligament injuries is investigated by Ante Mrkonjic in a PhD project. patient education and communication systems. of distal surgery is justified by superior results compared to older methods. follow-up of the children’s hips and spine. All reports are administered via Internet. followed prospectively is used for several research projects. with respect to people with CP. in a standardised way. It has been used in three PhD-theses, it is used in four PhDprojects and more than 30 scientific papers based on the material has been published. arrest is evaluated in relation to age and gender. of LLD a very accurate procedure. children with knee physiodesis and follow them with RSA. leading to asymmetrical growth or growth arrest. monitoring Physiodesis and fractures in relation to physes. has made this procedure much safer. hip dysplasia in adulthood, but the link is far from understood. group since the late 1990’s. as the dGEMRIC index) correlates to the cartilage GAG content. in spite of early treatment. neonatally dislocated hips than in stable hips (see figure). This indicates that a dislocatable hip does not normalize within one year, despite adequate diagnosis and treatment. sensitive method to detect early cartilage changes, dGEMRIC. infection in conjunction with orthopedic surgery. prosthetic ankle joint to a fusion. Techniques are being developed and evaluated. will give better results and decreased need for reoperations. 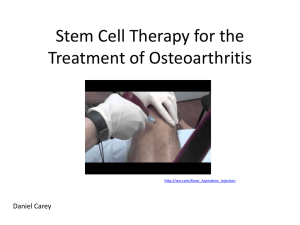 the short term and increasing the risk knee osteoarthritis (OA) in the longer term. dislocations and contusions), a corresponding increased risk is still to be determined. radiographic OA (5 years). We continue to follow this cohort over 10 and 15 years. setting and a 5-7 year follow up is planned. was performed within a week of aspiration. 4) The MOHAK-trial, an ongoing trial including patients with acute knee injury. targets of therapy to reduce the risk of OA development. disability, and reduced quality of life for several hundred millions of people worldwide. With the increased number of aging people, a cure for this disease is urgently needed. injuries and in the long-term to the early onset of osteoarthritis (OA). neuromuscular function need further documentation. and serum after the acute injury and at follow-up during 20 years. meniscectomy is the strongest risk factor for development of radiographic knee OA. of glycosaminoglycan (GAG) by dGEMRIC, both 3 weeks and 2 years after the injury. decreased GAG content discerned by dGEMRIC may be an early biomarker for OA. good or an inferior outcome, and to find risk factors for development of knee OA. patient about different treatment options. markers and development of targeted therapies are needed for improved survival. by the presence of tumour necrosis and vascular invasion. and apply the findings for refined diagnostics and prognostics in soft tissue sarcomas. in Scandinavia within the Scandinavian Sarcoma Group and The Netherlands. and radiotherapy) is considered when the tumour is regarded as a ”high-risk tumour”. is needed in order to improve survival and outcome for patients with soft tissue sarcomas. (but not abstracts) authored by members of the staff and printed in 2013. Alriksson-Schmidt A, Thibadeau JK, Swanson ME , Marcus D, Carris KL, Siffel C, Ward E.
2013 Aug 2;14:229. doi: 10.1186/1471-2474-14-229. Rheumatic Diseases 2013 Jul 29. doi: 10.1136/annrheumdis-2013-203618. both callus volume and strength. Acta Orthopaedica 2013, 84 (1):106-111. Orthopaedics and Related Research 2013, 471(5):1691-1697. Controlled Study. Journal of Bone and Mineral Research 2013 Feb;28(2):351-9.
of print 2013 Oct 8]. 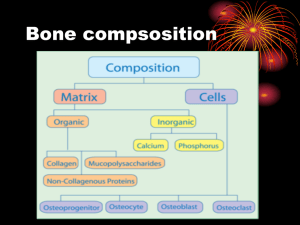 Mineral Content than for Bone Density: The PEAK-25 Study of 1,061 Young Adult Women. Carstens A, Kirberger RM, Velleman M, Dahlberg LE, Fletcher L, Lammentausta E.
of cartilage (dGEMRIC): normal cadaver study. Veterinary Radiology & Ultrasound. for quantifying distal metacarpus/metatarsus cartilage thickness in thoroughbred racehorses. Veterinary Radiology & Ultrasound. 2013;54(2):139-48. Chandran M, Akesson K. Secondary fracture prevention: plucking the low hanging fruit. Annals Academy of Medicine Singapore. 2013 Oct;42(10):541-4.
matrix degradation. Osteoarthritis Cartilage 2013, 21(2):339-345.
functional ability: a total population study. Acta Paediatrica 2013: 102(7): 712-7.
and phenotype of femorotibial denuded areas of subchondral bone as visualized by MRI. Osteoarthritis and Cartilage, 2013, 21, 9, 1214-22. 10.3109/17453674.2014.889979. [Epub ahead of print]. prospective population-based study. BMC Geriatrics 2013 Jul6;13(1):71.
activity patterns in young children. Journal of Physical Activity & Health 2013;10(2):241-248. Risk. Calcified Tissue International 2013;Apr;92(4):385-93.
replacement: rhymes and reasons. Bone & Joint Journal 2013 Nov;95-B(11 Suppl A):148-52.
diabetic patients who had no invasive vascular intervention. 10.1016/j.ejvs.2013.04.013. Epub 2013 May 1. Science in Sports doi: 10.1111/j.1600-0838.2012.01458. [Epub 2013 Apr 9]. 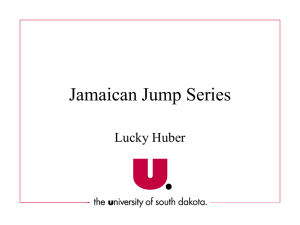 Journal of Sports Medicine 2013; 47(15): 980-5. Musculoskeletal Disorders 2013 Dec 13;14(1):352.doi: 10.1186/1471-2474-14-352. osteoarthritis initiative. 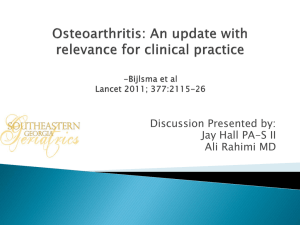 Arthritis Rheumatology 2013, 65(2):355-362. Rheumatic Diseases. 2013 Jul;72(7):1125-35. doi: 10.1136/annrheumdis-2012-202745. trial. British Journal of Sports Medicine 2013, Apr, 47(6):373.
medicine. British Journal of Sports Medicine. 2013 Oct;47(15):935-6. Ghanei I, Rosengren B., Hasserius R, Mellström D, Ohlsson C, Ljunggren Ö, Karlsson M.
The prevalence and severity of low back pain and associated symptoms in 3009 old men. Osteoarthritis Study. Radiology 2013, May 21. 10.1136/annrheumdis-2012-202571. Epub 2012 Dec 8. 10.1016/j.arth.2013.09.030. [Epub ahead of print].304. Ring Chromosome in Soft Tissue Sarcomas. Human molecular genetics 2013; Sep 26. Hägglund G. Positive development with follow up program for children with cerebral palsy. In Process Citation. Läkartidningen 2013, 110(15):765-766.
osteonecrosis of the knee (SPONK). Acta Orthopaedica 2013; 2013; 84(4): 410-4.
groin pain. German Journal of Sports Medicine [Epub 2013 Nov 5]. – a review. Osteoporosis International 2013 Mar;24(3):747-62.
elderly – a review. Scandinavian Journal of Public Health 2013;41 (5):442 – 454. Hip Osteoarthritis Have a Phenotype With High Bone Mass and Low Lean Body Mass. Clinical Orthopaedics and Related Research (CORR) doi:10.1007/s11999-013-3395-7. study with ten-year follow-up. Journal of Bone & Joint Surgery 2013, 95-B(1):23-30. Neurotherapeutics 2013 Dec;13(12 Suppl):33-7. doi: 10.1586/14737175.2013.865872. cartilage. Osteoarthritis Cartilage 2013, 21(3):462-469.
synovial fluid. Osteoarthritis and Cartilage 2013; Dec. 18.
discrepancy. 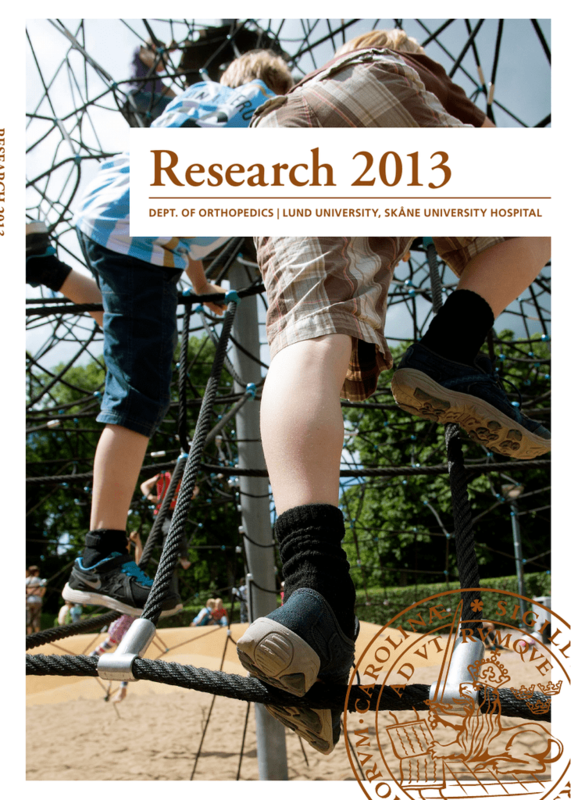 Journal of Children’s Orthopaedics 2013;7:285-288. Lauge-Pedersen H. In process citation. Läkartidningen 2013, 110 (15):748-750.
infections. Acta Orthopaedica 2013; 84(6): 507-8. Lazarinis S, Lidgren L, Stefánsdóttir A, W-Dahl A. Perioperative Antibiotics. Workgroup3. In: Proceedings of the International Consensus Meeting on Periprosthetic Joint Infecion. Leonardsson O, Rolfson O, Hommel A, Garellick G, Åkesson K, Rogmark C. Patientreported outcome after displaced femoral neck fracture. A national survey of 4467 patients. Journal of Bone and Joint Surgery, American Volume 2013; 95-A: 1693-9. Lewerin C, Nilsson-Ehle H, Jacobsson S, Karlsson M, Ohlsson C, Mellström C.
Sweden study. The MrOs study. Annals of Clinical Biochemistry.2013 Nov;50(Pt 6):585-94. Leonardsson O, Rolfson O, Hommel A, Garellick G, Åkesson K, Rogmark C.
cobalamins predict incident fractures in elderly men – The MrOS Sweden. Osteoporosis Int. compliance. BMJ (Clinical Research ed. ), 2013, Feb 19, 346, f1013. 10.1016/j.arth.2013.09.030. [Epub ahead of print]. Research ed.) 2013, 346, April,10, f2082. Malo M, Rohrbach D, Isaksson H, Töyräs J, Jurvelin JS, Tamminen IS, Kröger H, Raum K.
proximal femur. Bone 2013, 53(2):451-458. Mathavan N, Bosemark P, Isaksson H, Tägil M. Investigating the synergistic efficacy of BMP7 and Zoledronate on bone allografts using an open rat osteotomy model. Bone. 2013 Jul 8.
using the International Classification of Functioning, Disability and Health as a reference. Journal of Rehabilitation Medicine 2013;45(9):888-99. doi: 10.2340/16501977-1191. 2013 Feb 8. doi:pii: S0022-5347(13)00252-8.
for arthritis and joint injury. Osteoarthritis Cartilage 2013, 21(1):151-156.
cohort study with a 20 year follow-up 2014 Jan;22(1):84-90. doi: 10.1016/j. ca.2013.10.006. review of preclinical evaluation and clinical applications. Expert Reviews 2013; 675-84. doi. phenotype definition. Bone 2013 Oct 25. pii: S8756-3282(13)00425-0. doi: 10.1016/j. radiographic hand and knee osteoarthritis and its progression after meniscectomy. Osteoarthritis Cartilage 2013; 21(8): 1053-7. T, Stoffer M, Uhlig T, Woolf AD, Vliet Vlieland TP; the eumusc.net-working group. Ranstam J. The importance of clear language. Acta Orthopaedica 2013; 84(5): 443.
metastasis. Surgical Oncology. 2013; 22(2):132-8. Rezaei H, Saevarsdottir S, Geborek G, Petersson I,F, van Vollenhoven RF, Forslind K.
and radiographic assessment in early rheumatoid arthritis: results from the SWEFOT trial. BMC Musculoskeletal Disorders 2013, 14:79. Disease Clinics of North America 2013, 39(1):107-122.
palsy. Journal of Children’s Orthopaedics 2013;7:407-413.
adults with cerebral palsy. Developmental Medicine and Child Neurology 2013;55:100910015. MOST study. Seminars in Arthritis and Rheumatism 2013; 42(6): 573-81. Roos EM, Juhl CB, Lohmander LS. Expert panels: can they be trusted? Arthroscopy. 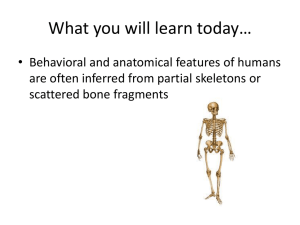 and bone – from health to injury. Danish Journal of Sports Medicine 2013;3(17):16-20. D, Lorentzon M, Stefanick M, Lapidus J, Leung PC, Kwok T, Orwoll E, Karlsson M.
Health doi: 10.1177/1403494813510789. [Epub 2013 Nov 20]. comparison of 59 cases and 218 controls. Bone 2013, 52(1):389-392. Southern Sweden. Acta Orthopaedica 2013, 84(1): 87-91.
a prospective cohort study. 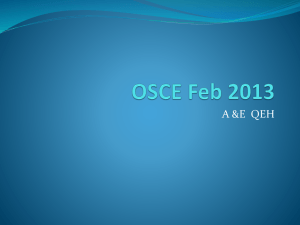 BMC Musculoskeletal Disorder 2013, Feb 6, 14:57. V, Loza E, Olejnik P, Petersson IF, Uhlig T, Stamm TA; the eumusc.net-working group. Strömqvist B, Fritzell P, Hägg O, Jönsson B, Sandén B. Swedish Society of Spinal Surgeons. Sports Traumatology, Arthroscopy 2013 Sep;21(9):2040-7.
dislocation rates using dual articulation cups and THA for intracapsular femoral neck fractures. Hip International 2013 Jan-Feb;23(1):22-6. doi: 10.5301/HIP.2013.10632. Lumbar Spine – Implications for Bone Mineral Density Measurement in Elderly Women. musculoskeletal pain: a cohort study with 17 years of follow-up. BMJ Open. 2013 May 28;3(5). follow-up. Journal of Hand Surgery, Eur Vol, 2013, Mars 5.
with cerebral palsy: a total population study. Developmental Medicine & Child Neurology. 2013;55(9):821-6. doi: 10.1111/dmcn.12178. Epub 2013 Jun 11.
of cartilage (dGEMRIC) of the knee at 3.0 T in patients with early stage osteoarthritis. European Radiology 2013;23(2):496-504. doi: 10.1007/s00330-012-2616-x. of Biomechanics 2013; 46(11): 1928-32.
polymorphism array findings in soft tissue tumors in infants. Cancer Genet. 2013 JulAug;206(7-8):299-303. doi: 10.1016/j.cancergen.2013.06.004. 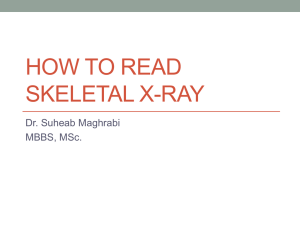 Epub 2013 Aug 12.
knee magnetic resonance images from the osteoarthritis initiative. Arthritis Rheumatology. among elderly men (MrOs Sweden). BMC Nephrology 2013;14(1):85.
of Orthopaedic Surgery and Research 2013; 8:25.
cycle. International Osteoporosis Foundation 2013. Disorder 2013 Sep 12;14:266. doi: 10.1186/1471-2474-14-266. serie nr 7 Temaredaktör Lidgren L och Saxne T. Huvudredaktör Persson BEB. ländryggskirurgi i Sverige. Årsrapport 2012. 63 s. 2013. ISBN 978-91-980722-3-5.